President Obama's declaration that a large swath of Coast Range land will become the Berryessa Snow Mountain National Monument pleased a lot of people, including lovers of rocks. The park displays signs of a long sequence of dramatic geologic activity including the clash of tectonic plates, extensive volcanism and the wrenching of modern earthquake faults. 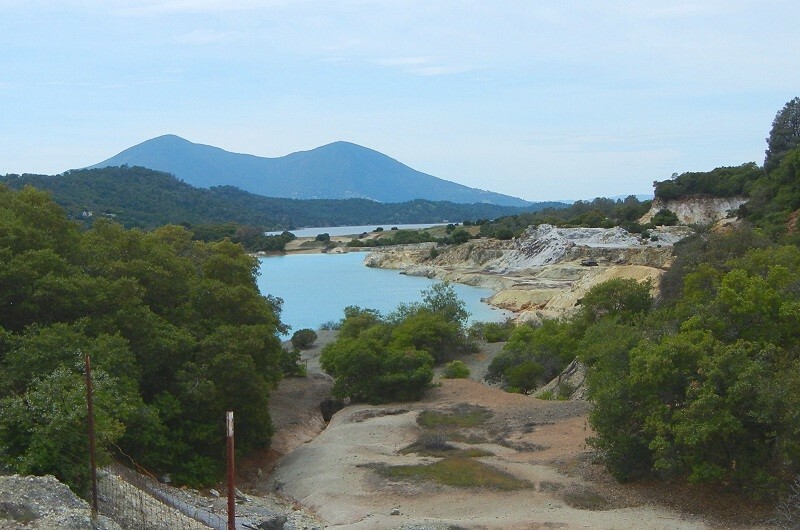 The area is full of interest for roadside rockhounds and backpacker geologists alike. You can find details for many engaging day trips in the links provided in this story. The new national monument stretches nearly 100 miles from north to south, through the eastern part of the Coast Range. For Eldridge Moores at the University of California, Davis -- who may well be the current dean of California geology -- the area is his geological back yard. As part of the intensive, years-long lobbying and planning effort that led to the new park's creation, Moores put together the geologic map shown below. The southernmost bit of the national monument, just south of Lake Berryessa, features large, classic outcrops of the tilted-up sandstone beds that make up the western flank of the Central Valley. I highlight them in my tour of Mount Vaca and the Monticello Dam. There are many places to inspect an ancient boundary between tectonic plates: a former subduction zone, where rocks of an oceanic precursor of the Pacific Plate plunged beneath the North America Plate. Numerous exposures of serpentine rock from the old seafloor include some rare examples of mud volcanoes, like those found today in the active subduction zone of the Marianas Trench south of Japan. More signs of the deep-sea are found in fossils of cold-seep communities. These are places on the seafloor where methane and other organic materials rise up through the overlying sediment and support colonies of organisms. The geologic map points out six localities of these uncommon fossils. Stony Creek Valley, near the northernmost edge of the new park, is also a good place to explore the old subduction zone where the landscape is wide open and traffic is light. Real volcanoes are a big part of the national monument. The rocks making up Snow Mountain were once a large undersea volcano. Late in the Mesozoic Era, this underwater mountain was swept into the subduction zone and carried as deep as 20 miles before it resurfaced. Clear Lake and its surrounding volcanic features form the backdrop for the central part of the national monument. The heat and chemical activity of volcanism has created notable deposits of mercury, gold and other metals across the region. State Route 20 crosses the waist of the new park, also passing the north shore of Clear Lake and meeting up with the canyon of Cache Creek. If you take that route, you'll see the evidence for Clear Lake's back-and-forth drainage during recent geologic time. Active faults of the wide San Andreas fault zone crack their way through the park. 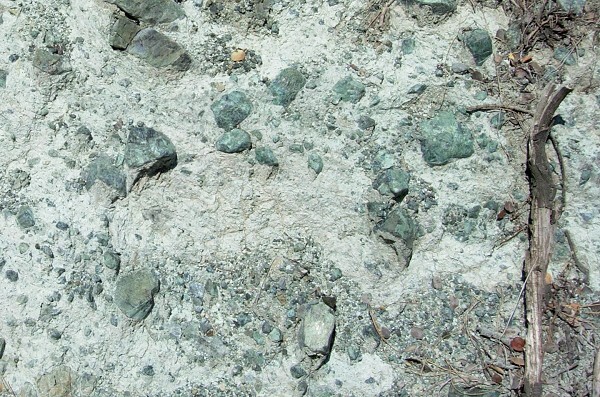 Foremost of these is the Bartlett Springs fault, just west of Snow Mountain. Gradually, scientists are mapping bits of more active faults through this remote area, like the recently discovered Kuikui fault. The President's proclamation of July 10 is as good an introduction as any to more of the notable features—geological, biological and cultural—in the 330,780 acres of the Berryessa Snow Mountain National Monument. 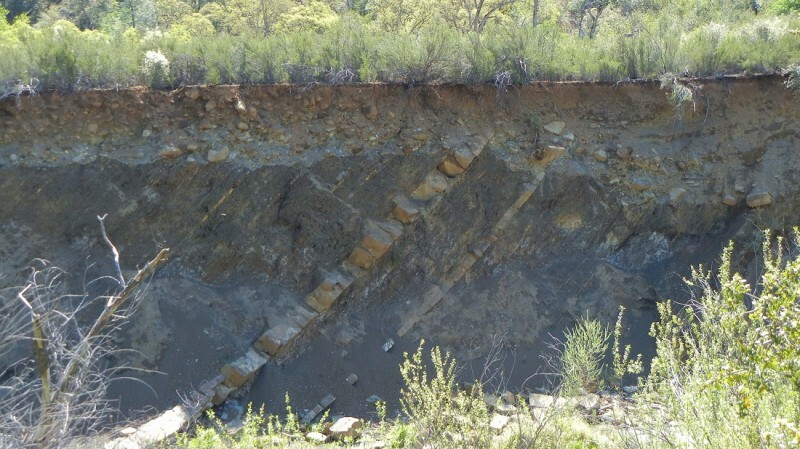 Eldridge Moores goes into deeper geological detail in a post on the Protect BSM blog. The U.S. Forest Service is the lead manager of the national monument and hosts its official website. 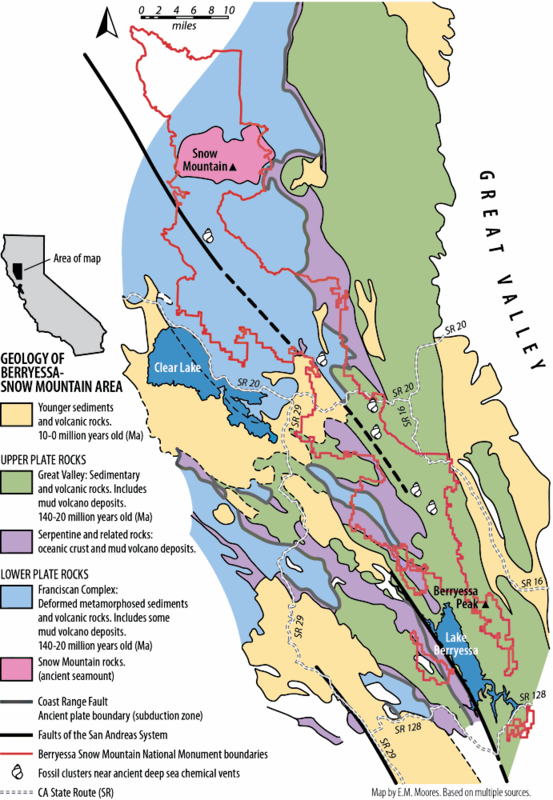 More maps, news, and fact sheets can be found at berryessasnowmountain.org. And the Protect BSM blog will give you an appreciation for the dogged, smart activism that was needed to get this land preserved by the President.